Pit your wits against the wind and tide. Round 5 buoys in any order. Combined start at 10am on Upnor Line. 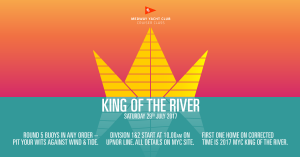 First one home on corrected time is 2017 MYC King of the River! 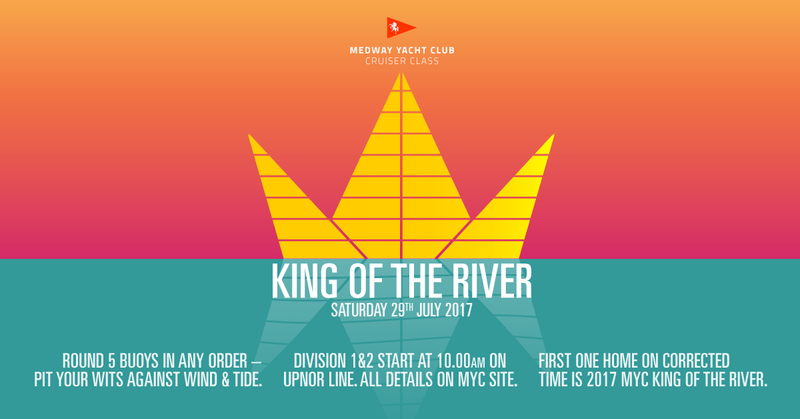 To enter, fill in an entry form and a declaration to race and either email or drop off to the MYC office – all details are on the respective forms.